Commonly referred to as Driving Under the Influence (DUI) or Driving While Intoxicated (DWI) throughout the United States, auto accidents caused by a drunken driver have been a major public safety epidemic in the U.S. for decades. It is estimated that DUI-related crashes account for nearly one-third of all traffic-related fatalities each year. In many cases, alcohol-impaired drivers who cause serious car accidents are repeat offenders whose destructive behavior has finally caught up with them. Hiring a DUI accident lawyer after a serious crash can ensure that innocent injured victims achieve justice and that drivers are held responsible for their negligent actions. Some attorneys will represent drunk driving collision victims while also defending drunk drivers in criminal cases. Seattle attorney Chris Davis only represents the innocent victims of crashes caused by impaired drivers, not DUI offenders who are responsible for causing horrific accidents and the injuries that result from them. During his career as a prosecutor for King County, Mr. Davis brought hundreds of DUI offenders to justice. Now he helps the victims of drunk driving collisions and their families gain financial compensation for the harm caused by DUI offenders. If you or a loved one has been badly injured after a collision caused by a drunk driver, Davis Law Group has a team of dedicated and experienced lawyers who will fight for the highest possible compensation for you and hold wrongdoers accountable. Call (206) 727-4000 to schedule a no obligation consultation. 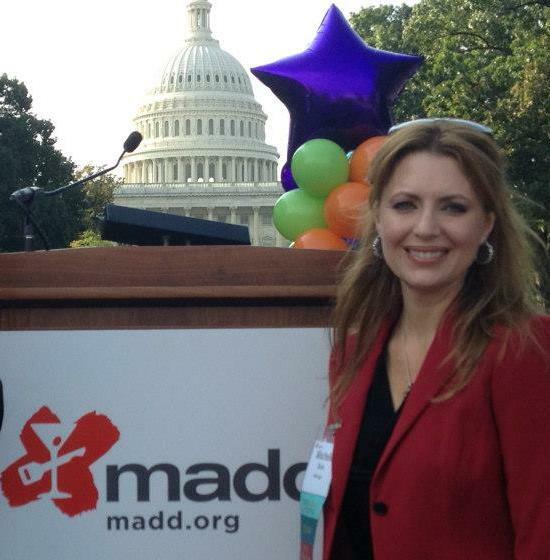 Mischelle Davis, wife of attorney Chris Davis, is an active advisory board member of the Washington state chapter of Mothers Against Drunk Driving (MADD). Mischelle was first personally affected by the impact of drunk driving when she was a teenager and several of her high school classmates were injured and one was killed in a drunk driving crash that took place shortly before graduation. Mischelle has dedicated the last decade of her life to working with Washington state officials to promote public safety legislation, policies, and public safety programs aimed at preventing DUI-related crashes, reduce injuries, and save lives. 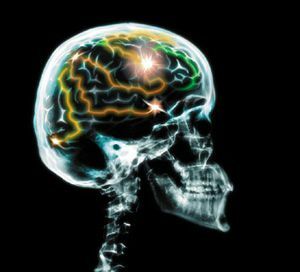 We helped our client recover a $2.15 million settlement after he suffered a serious traumatic brain injury while riding as a passenger in a crash caused by a drunk driver. Our client nearly lost her leg after being pinned to a wall by a drunk driver. We sued the driver and his insurance company, as well as the bar who over-served the driver and recovered a $1 Million settlement on the victim's behalf. We recovered a settlement of $660,000 for our client, who suffered a broken heel, fractured sternum, 12 broken ribs, and a head injury when a drunk driver hit her head-on. The drunk driver had been over served at a nearby bar. Like our friends at Mothers Against Drunk Driving (MADD), Davis Law Group believes that there is no such thing as a drunk driving accident. Drunk driving collisions result from carelessness or deliberate dangerous driving (under the influence of alcohol), not from circumstances beyond the control of the at-fault driver. Car crashes that are caused by a drunk driver are entirely avoidable, and we believe in doing everything possible to stop drunk drivers before they cause injuries on the road. 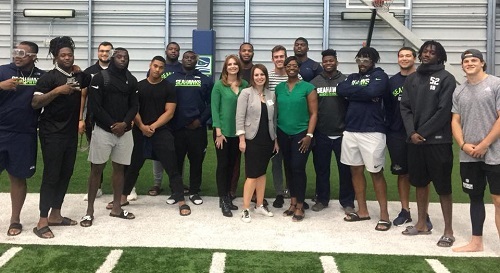 "On behalf of the Board of Directors and staff of Mothers Against Drunk Driving, I would like to express my deepest appreciation of Davis Law Group's generous support of MADD..."
Each year Mischelle is a presenter at Rookie Success Camp, a series of educational programs delivered to the incoming Seattle Seahawk rookies. 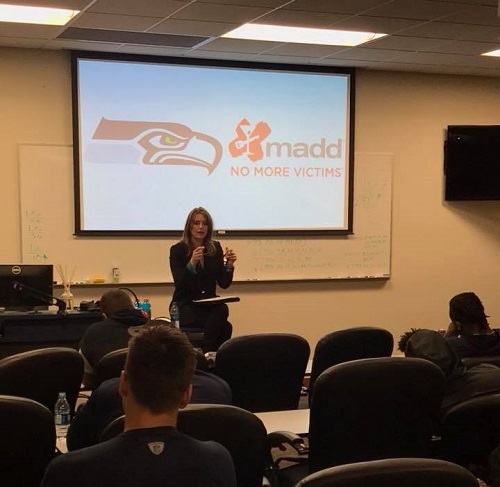 Mischelle and other MADD volunteers speak to the rookies about the dangers of drinking and driving and the tragic consequences it can have on their lives and the lives of others, along with the permanent damage it can cause to their careers. Impaired drivers who cause drunk driving collisions may face both criminal and civil court proceedings. Criminal proceedings are designed to punish the offender for breaking the law and to protect the public by acting as a deterrent against impaired driving. Driving drunk can result in criminal prosecution even if there was no accident and/or no one was injured. Civil proceedings against an impaired driver typically come in the form of a claim or lawsuit against the drunk driver for injuries caused by the drunk driving collision. Fatal drunk driving crashes can result in a wrongful death lawsuit brought by the family of the victim. In many cases a civil suit may be the only way to recover damages such as medical treatment costs, lost wages, damaged property, other economic damages and pain and suffering. It's important to note that the criminal and civil sides of the legal system are completely separate and have no impact on one another. If you hire Davis Law Group to represent you after a collision with a drunk driver, the basis of our representing you is with regard to the civil personal injury claim. We cannot directly control a criminal prosecutor's decision to pursue criminal charges against a drunk driver, but we do often cooperate with prosecutors to provide evidence, victim impact statements, and more information relating to the case in hopes that the person who injured our client will be brought to justice. While we can never guarantee the outcome of any criminal investigation, we go above and beyond the level of service that you might expect to receive from any other personal injury law firm when it comes to drunk driving collision cases. Washington State law provides that the drivers on the road have the duty to not operate a motor vehicle when under the influence of alcohol. See RCW 46.61.502. A DUI arrest in Washington means license suspension, jail time, and up to $5,000 in fines and fees. You may be ordered to install and pay for a device (called an ignition interlock) that won’t allow your car to start if you have any alcohol in your system. The court can order you to pay for and attend alcohol or drug treatment. Washington State Patrol helps to enforce the Washington Traffic Safety Commission's "Drive Hammered-Get Nailed" campaign to catch drunk drivers. This program puts many more DUI task forces out on Washington streets, roads, and highways throughout the state between mid-August and early September. 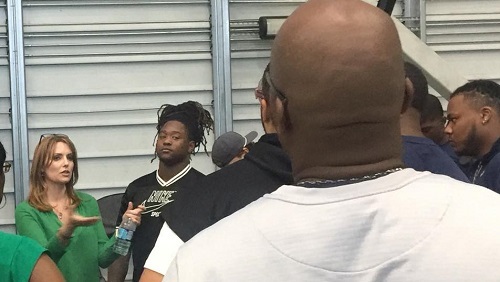 The idea is to catch more drunk drivers during the days and weeks surrounding Labor Day weekend in order to stop the drunk driver before they do any damage to themselves or others. Drunk driving is one of the leading causes of motor vehicle collisions in Washington State. Forty-two percent of all fatal motor vehicle crashes involve a driver that was under the influence of alcohol. Each year over 200 people in Washington state are killed in drunk driving crashes. There is a sharp increase in the number of drunk driving incidents near major holidays and during the summer months. According to Mothers Against Drunk Driving (MADD), 10,228 people were killed in alcohol-related crashes in the United States in 2010. This figure represents 31 percent of all traffic incident deaths. More than 500,000 Americans are injured in drunken driving crashes each year. The team of attorneys at Davis Law Group will review your potential case for free, and help you better understand your legal rights and options for pursuing a personal injury claim. If we believe we can improve the chances of a favorable outcome, our attorneys will meet with you for a free legal consultation to discuss your case in greater detail. We also work on a contingency fee basis, which means there are no up-front costs and you owe no attorney's fees until your case has been successfully resolved. Call our office in Seattle at (206) 727-4000 or use the confidential contact form on this page to have your case personally reviewed by our award-winning legal team. ?What Happens During A Field Sobriety Test? 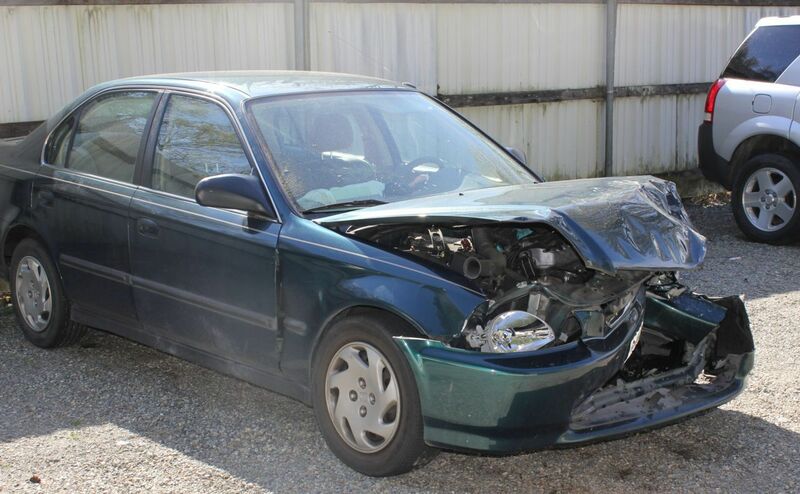 ?Can I Sue The Drunk Driver Who Hit Me? ?Can Victims of Drunk Driving Collisions Receive Crime Victims Compensation Benefits?